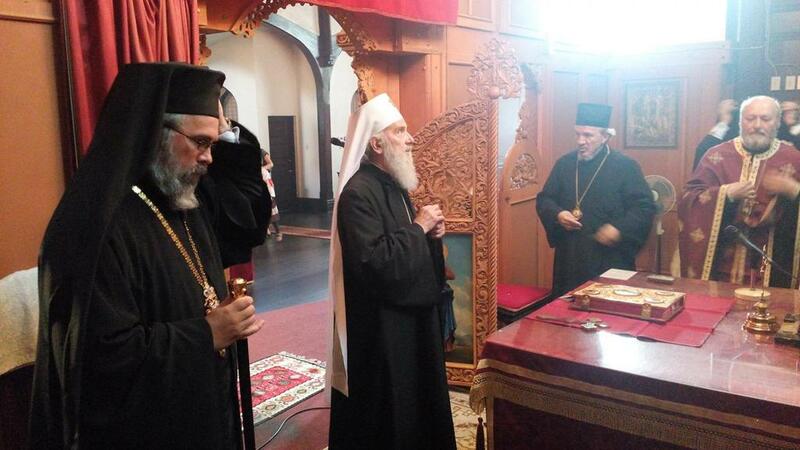 Montreal, Quebec - His Holiness Serbian Patriarch Irinej, administrator of the Diocese of Canada, visited on Thursday, June 18, 2015 the city of Montreal. 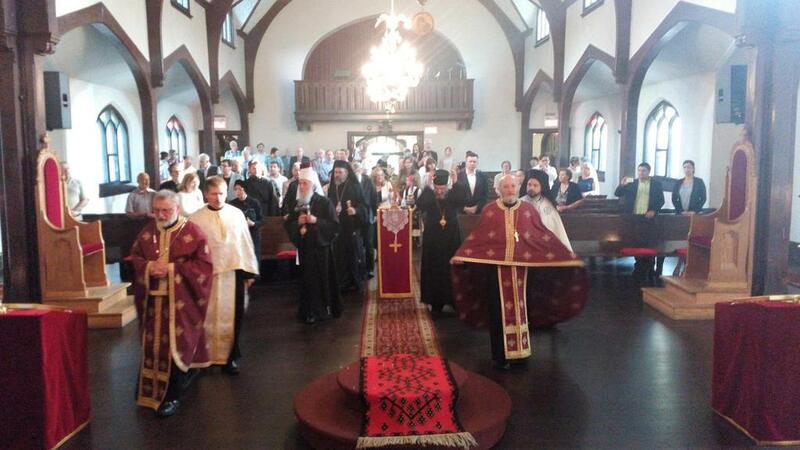 During this visit the Serbian Patriarch visited the Holy Trinity church-school congregation. This is the first time in the history of the Serbian Orthodox Church and the Diocese of Canada that a first hierarch of our church visited Montreal and the Serbian community that has existed here since 1954. The Montreal church-school conregation is made up of one parish with a church dedicated to the Holy Trinity. The church was originally a Presbyterian church and has been renovated for the needs of an Orthodox church. This beautiful church, of recognizable Protestant features, was built in 1901, the church plans were signed by the famous architect Edward Maxwell. The church and parish home are in a very dignified part of town and are protected by the state as an object of cultural significance in the Province of Quebec. Accompanying the Serbian Patriarch were His Grace Bishop Mitrophan of Eastern America, V. Rev. Vasilije Tomic, Episcopal Deputy to His Holiness and Protodeacon Damjan Bozic from Belgrade. Welcoming His Holiess at the international airport in Montreal was the Holy Trinity parish priest Protonamesnik Djordje Cimesa, together with long time parish priest in Montreal V. Rev. Stavrophor Zivorad Subotic. Fr. Subotic, retired priest of Montreal serves today the mission parish in Sherbrooke, some 150 kilometers east of Montreal. In the church hall His Holiness Serbian Patriarch Irinej met with Her Excellency Ambassador to Bosnia and Hercegovina in Ottawa, Koviljka Spiric and His Excellency Ambassador to the Republic of Serbia in Ottawa, Mihailo Papazoglu. The conversation with the esteemed representatives was very cordial. The Serbian Patriarch informed the state officials of the new situation in the Diocese of Canda. The ambassadors, besides offering their verbal support, also offered support in writing, that is, announcing to all state institutions in the Canadian province of the decision of the Holy Assembly of Bishops of the Serbian Orthodox Church. During his visit to Montreal, His Holiness met also with the following hierarchs: Archbishop Irenee of the OCA and His Grace Bishop Ioan Casian of Vicina, Vicar Bishop to His Eminence Archbishop Nicolae of the Romanian Orthodox Church in North and South America. Children welcomed His Holiness at the doors of the church, together with many Orthodox clergy from this part of Canada. Patriarch Irinej was welcomed as is the custom, with bread and salt. 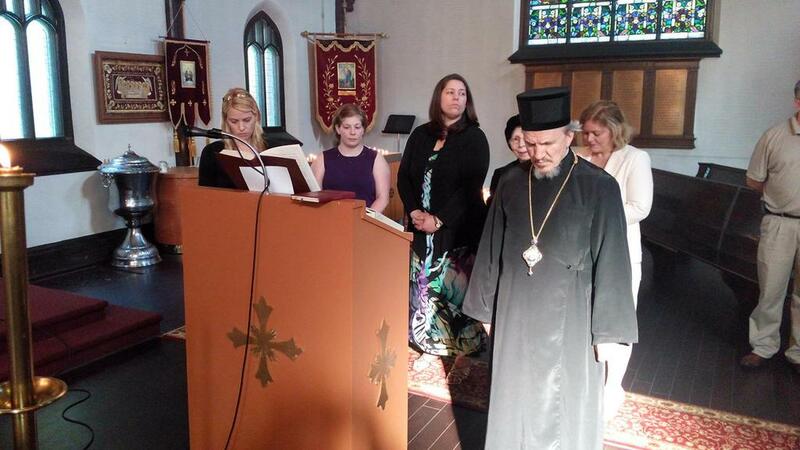 In the crowded church the parish priest Protonamesnik Djordje Cimesa and Protodeacon Damjan Bozic served Vespers. Singing at the chanter's stand were members of the church choir. The verses were chanted by Bishop Mitrophan of Eastern America, V. Rev. Stavrophor Vasilije Tomic and V. Rev. Stavrophor Zivorad Subotic, retired priest of Montreal. The Montreal church school congregation was founded on December 9, 1954. The first church was consecrated by Bishop Stefan (Lastavica). Today's church, purchased from the Presbyterians, was purchased in 1976.